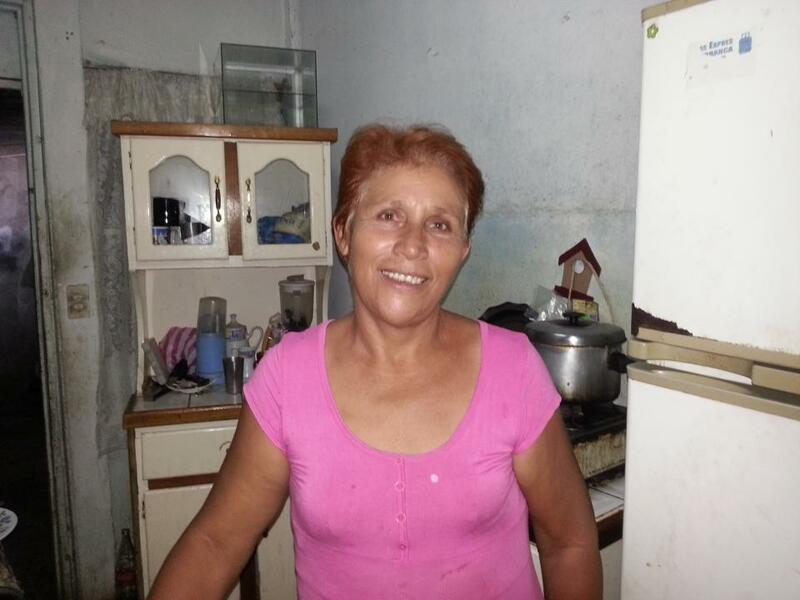 A loan of $2,025 helped to renovate her shop, where she serves food. Mayra is a very hard-working person. She lives with her husband, who is handicapped. Their livelihood depends on the income she derives from her shop, where she serves food. Thanks to her amiability towards customers and the variety of dishes on offer, more and more people are coming to eat at her shop. Mayra therefore needs to buy more kitchen utensils, chairs, and tables. The shop could also use a new coat of paint and a sign above the door, in order to enhance customer experience. For all these renovations, Mayra needs exactly one million colones. She is very happy about the opportunities afforded to her by the communal bank and its loans. Mayra es una señora muy emprendedora, vive con su esposo quien es discapacitado y por lo tanto el sustento de ambos depende de los ingresos que obtenidos por medio del negocio de soda (venta de comidas) que ella tiene, gracias al buen trato y a la variedad de platillos que ofrece ha conseguido que la clientela esté aumentado, debido a esto Mayra requiere comprar más utensilios de cocina, necesita también sillas, mesas y pintar y rotular el local para brindarle un mejor servicio al cliente, para esto solicita un millón de colones exactos (¢1.000.000). Ella manifiesta su gran satisfacción por la oprotunidad que le ofrece el crédito de apoyo comunal. As a small and relatively young MFI located in Costa Rica, EDESA has difficulty attracting other sources of capital. Many other microfinance funders do not work in Costa Rica, because overall the country is too rich. However, organizations such as EDESA work with extremely marginalized populations in Costa Rica that really need the access to capital that EDESA provides. By funding EDESA, Kiva lenders are allowing the organization to grow and reach more people than they otherwise would be able to reach. EDESA has a very interesting model of providing credit to entrepreneurs. They use village banking type model but where each village bank is quite independent and has control over the use of funds in their community. Kiva believes that EDESA's model not only provides much needed capital to entrepreneurs, but foster community development in a way that may not happen otherwise. Kiva's money is particularly important for an organization such as EDESA because of it's size and location. As a small and relatively new MFI located in Costa Rica, EDESA has difficulty attracting other sources of capital. Many other microfinance funders will not work in Costa Rica, because overall the country is too rich. However, organizations such as EDESA work with extremely marginalized populations in Costa Rica that really need the access to capital that EDESA provides. By funding EDESA Kiva lenders are allowing the organization to grow and reach more people than they otherwise would be able to reach.